0 Members and 11 Guests are viewing this topic. 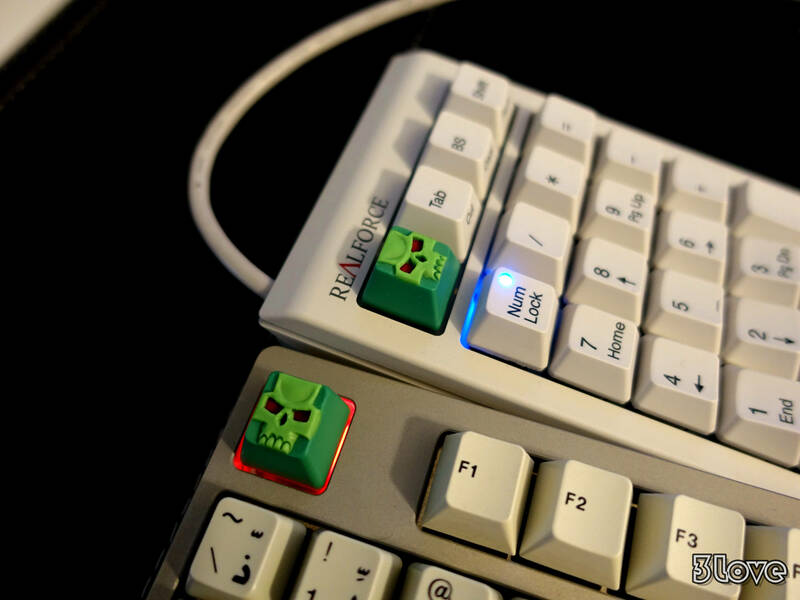 The greatest trick The Devil ever pulled was convincing Geekhack that Clickclack exists. Did he pick winners from the last 10/15 clackvents from the thread?? As I recall there's quite a few of them that haven't had winners chosen yet. Did I ever tell you the time I was in a barbershop quartet in Skokie, Illinois? No updates that I've seen. Youre within 1 week of your GHaversary. I wasn't really talking about the wait for the caps, I don't really care about that too much as long as I eventually get them. No update here but this happened last year and it was a serious health issue. I'd imagine the same issue has reared it's head again. CC suffers from Irritable Bowel Syndrome.. It was more of a therapeutic beg than trade request. But I feel you hoffy. I feel ya. You good. I know it wasn't intentional, just wanted to be clear on it. I'm almost certain there was only one of these in existence, but I could be wrong. EDIT: Ouch to those Internationals, I just realized it's CONUS only. looks nice. is it purple or black? Looks blue to me with a GID face. 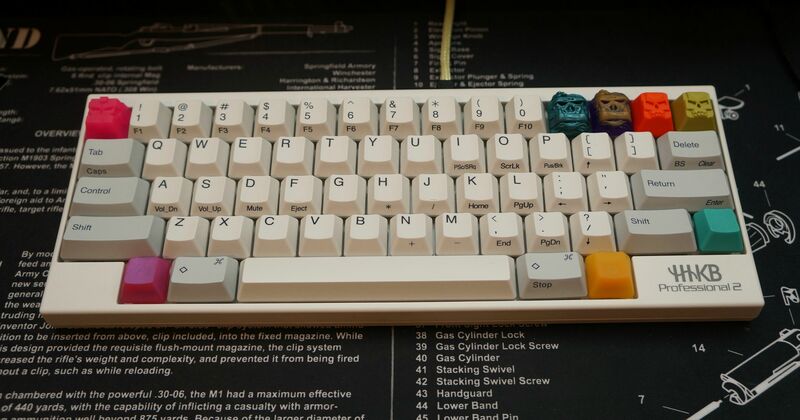 I've seen it posted a few times in the 'Post your clacks' thread before and always by the same person. Yup. You're faster then me. Who knows... With the free shipping though, that should help with the overall price of the sale. Haha, I keed I keed. Wishing you well Clackman, come back to us! Hahahah I'm chill! Just joking Around. Never seen this one. Are they legit? Fairly sure they are. Talked to skcheng last time this guy had caps up and he seemed to believe they were. I think Naasfu has bought from this seller though. 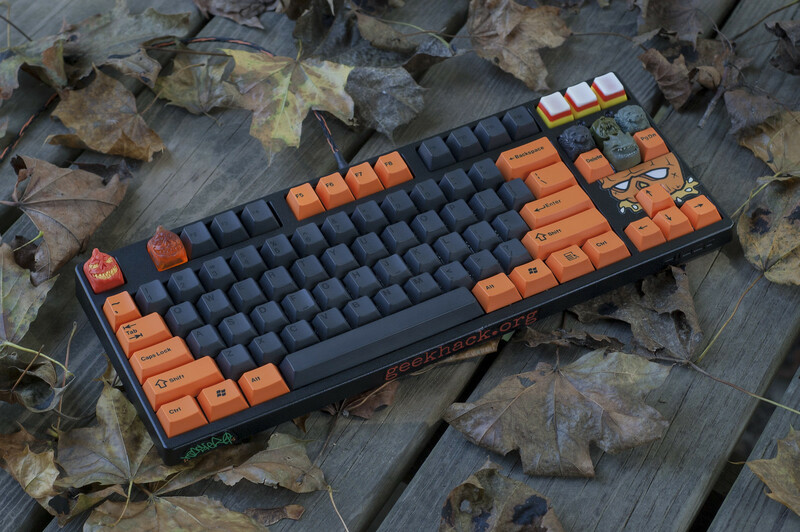 +1 if they weren't topre I'd bid on this one and the yellow skull. Can someone please post a list of what floatikus is selling (if there are more than the two linked recently), as those of us not in CONUS cannot see anything unless it is explicitly linked. I need something to distract me from that black/yellow Clack. All those are undoubtedly be way out of my price range. So good looking though..
Only the three this time. Wonder how many others he has hidden away. Someone is cashing out. 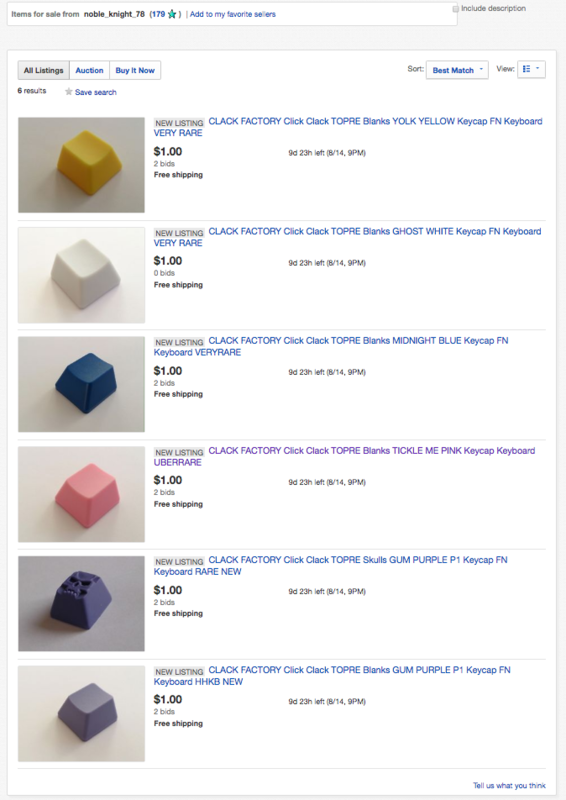 Moar clacks to bid your hearts out on! 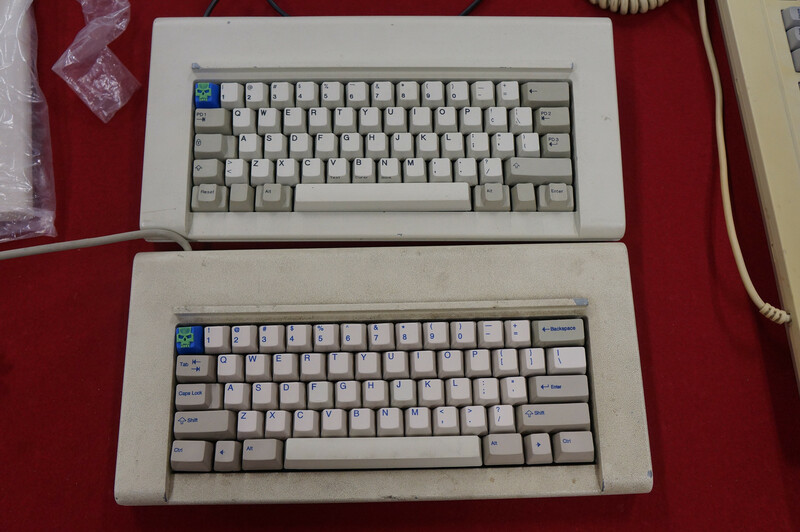 It's weird though, none of those supposed Fn keys look like Fn keys to me. I wonder if that was just a mistake by the seller. That's because they're Esc blanks. Ps- let sth win the blanks cheap, he's been hunting for years!!! I agree. Could be the angle of the shot, but they look more like ESC moldings. That Midnight Blue is seeeeeeexy. mmmm don't even topper and still want. I'm pleased to announce the grand opening dollar clack club. Man, I wish I had an IQ score high enough to become an early bidder. Page created in 0.16 seconds with 72 queries.